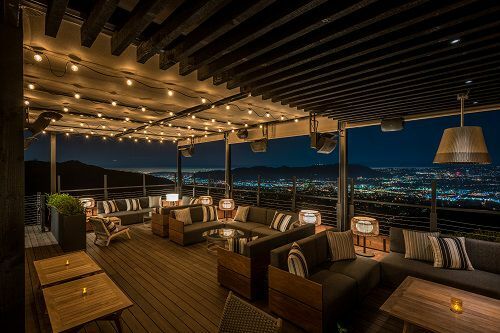 Check out this new mellow 80-seat bar and lounge from the Castaway team up in Burbank. It’s called the Green Room, and it may well have the best new drinking and dining views anywhere in the area. Expect a heavy focus on classic craft cocktails, plus reinvented bar food that winds from caviar to lobster corndogs, with a dry-aged ribeye steak thrown in for good measure. Expect an opening for The Green Room (1250 E. Harvard Road) on Friday.